The Federal Motor Carrier Safety Administration has issued a final report on a truck and train collision that occurred last year which led to the explosion of a 15-car freight train. The results of the report lend support to the position that limits should be extended on the use of all portable electronic devices by commercial drivers. A truck accident lawyer knows driver distraction is a leading cause of motor vehicle collisions. Hands-free systems are not necessarily any safer than handheld systems. In fact, some evidence suggests using a hands-free device could actually take more of your focus away from the road. Since commercial truckers operate such large vehicles, there is a lot at stake when a collision occurs and it is very important for safety rules to do everything possible to reduce the chances that an accident will happen. 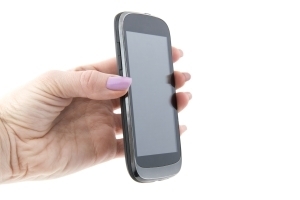 The FMCSA report revealed a truck driver was distracted by the use of a mobile communication device. As a result, he did not check properly to ensure the railroad tracks were clear before crossing the tracks. His distracted driving mistake allegedly led to a crash that derailed a 15-car freight train, which subsequently exploded. Fleet Owner reports the National Transportation Safety Board expressed grave concerns about the FMCSA’s oversight failures and about the safety of motor carrier operators in light of the report on the train crash. The NTSB has made myriad recommendations in light of its own investigation, including passing tougher rules on the use of portable electronic devices. The current laws prohibit truckers from using handheld electronics, but do not impose a broad ban on hands-free systems. The NTSB Acting Chairman expressed concern these rules could “mislead people to believe that ‘hands-free’ is as safe as not using a phone at all.” The reality is any distraction, including the use of a handheld device, could be the cause of a truck crash. Because of the risks, the NTSB believes even the use of hands-free systems should not be allowed among commercial truckers who are operating commercial vehicles. Text messaging on a cell phone. Complex tasks like cleaning a side mirror or looking through a grocery bag. Interacting with a dispatch device. Writing something down on a notepad or pad. Reading paperwork or other documents. Looking back into the sleeper berth. The bottom line is, any kind of distraction could potentially increase the risk of a truck crash. Reasonable steps should be taken to limit distractions, and a restriction on hands-free devices may be appropriate to increase public safety. Contact Bell & Pollock at (877) 744-5900 to schedule a consultation with a truck accident in Denver, Greenwood Village and Steamboat Springs Colorado.